Our Heart Memorials can be manufactured in any material and all ornaments and designs are interchangeable. Heart available in 22″ x 24″ x 4″ with 18″ x 8″ x 6″ Column and 4″ x 24″ x 24″ Base. 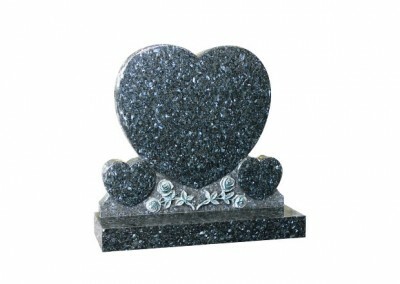 Star Galaxy granite heart with rounded edges. 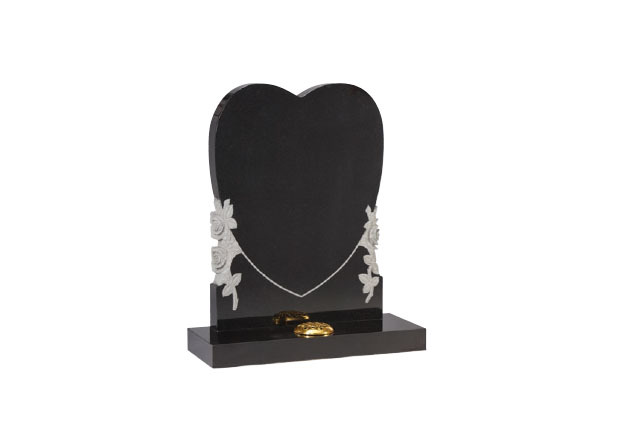 Heart available in 22″ x 24″ x 4″ with 18″ x 8″ x 6″ Column and 4″ x 24″ x 24″ Base. 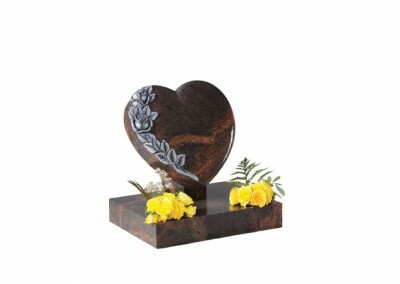 Teak granite heart with and carved roses. Heart available in 16″ x 28″ x 3″ with 3″ x 30″ x 13″ Base. 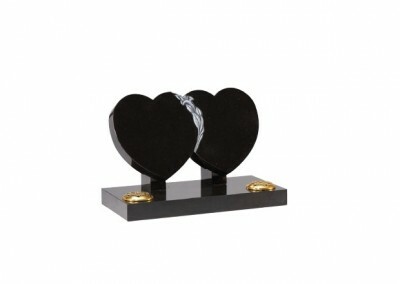 Black granite double heart with hand carved lily. 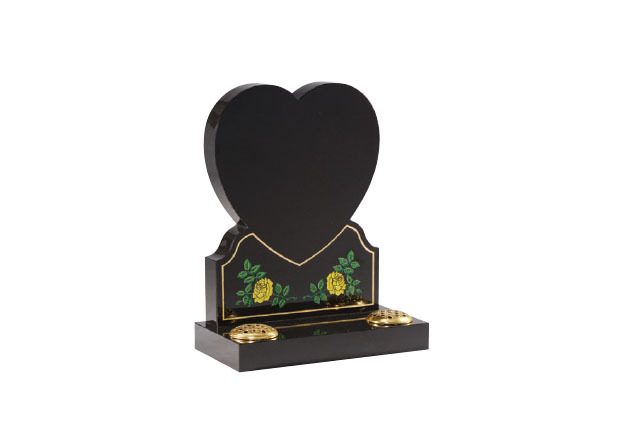 Heart available in 18″ x 18″ x 3″ with a 12″ x 6″ x 4″ Rest and 12″ x 6″ x 4″ Base. Star galaxy granite heart with two flower containers. Headstone available in 33″ x 24″ x 3″ with a 3″ x 30″ x 12″ Base. 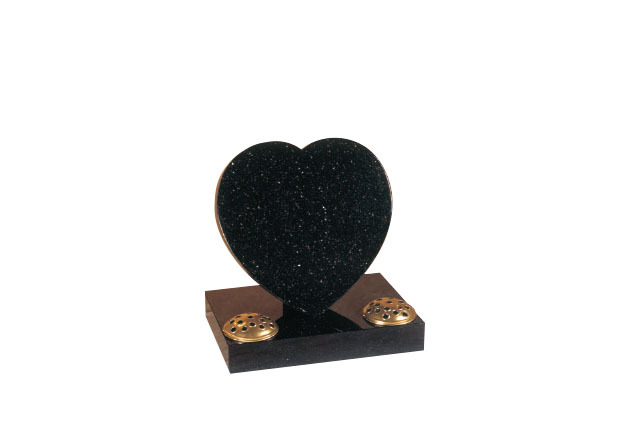 Black granite with hand carved roses. 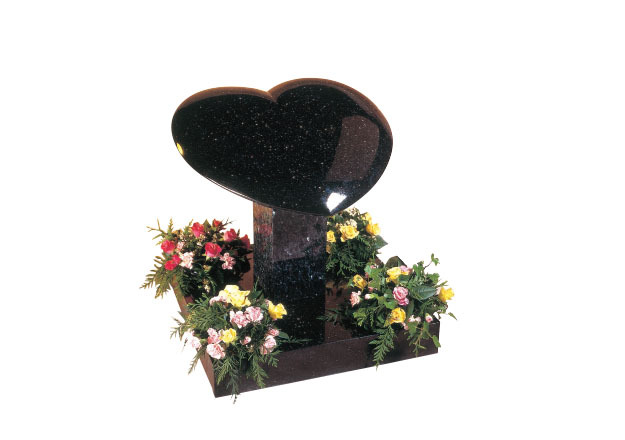 Headstone available in 27″ x 27″ x 3″ with a 3″ x 24″ x 12″ Base. Black granite with etched hand painted heart with roses design. Any colour can be used. Headstone available in 33″ x 26″ x 6″ with a 4″ x 30″ x 12″ Base. 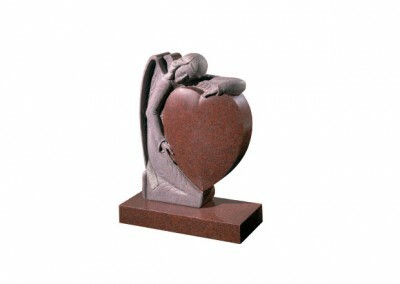 Ruby Red granite with hand carved angel holding a heart. Headstone available in 30″ x 26″ x 3″ with a 3″ x 30″ x 12″ Base. 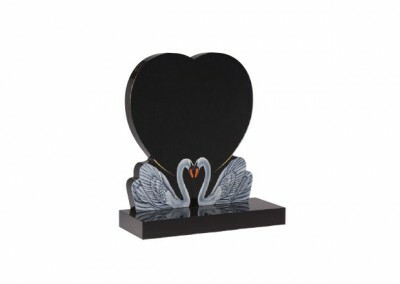 Black granite with two etched and painted swansea together. Headstone available in 30″ x 26″ x 3″ with a 3″ x 30″ x 12″ Base. Blue Pearl granite with triple heart and hand carved Roses design.